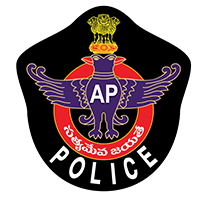 AP Police Jobs Recruitment Notification 2018.Andhra Pradesh Police Department inviting applications for the positions of Constable and SI and Other posts.Interested and Eligible candidates can apply for the positions. Total number of vacancies to be filled in AP Police Department is 3471. Candidates those who passed SSC/ Inter/ degree / graduation candidates can apply for the posts. Candidates those who are having minimum age of 18 years can apply for the posts. Chest: Must not be less than 86.3 centimeters with a minimum expansion of 5 centimeters. Height: Must not be less than 168 centimeters. Chest: Must not be less than 87 centimeters with a minimum expansion of 5 centimeters. Candidates according to their job roles will be paid monthly pay. State Level Police Recruitment Board, Andhra Pradesh will conduct written examination in order to hire the eligible aspirants. Only candidates have to submit applications through online mode. From 12th November to 07th December 2018 candidates can apply for PC, Warder and Fireman Jobs Notification. http://slprb.ap.gov.in/ is the link through which candidates can apply for SLPRB AP Recruitment 2018 Notification.